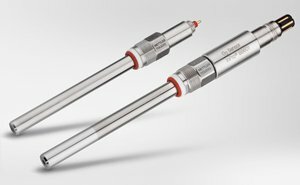 Sensor maintenance is critical for ensuring measurements from in-line probes are reliable, but deciding what sensor maintenance needs to be performed and when it should be done can be a challenge. 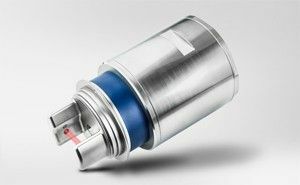 Now, intelligent sensors that learn from your processes tell you in advance when to perform sensor cleaning, calibration and replacement. 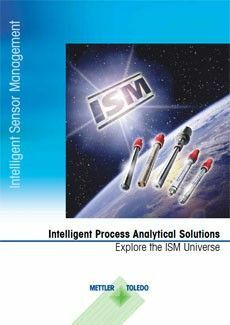 This white paper looks at the Intelligent Sensor Management® (ISM®) approach to sensor maintenance based on the actual requirements of each individual sensor. 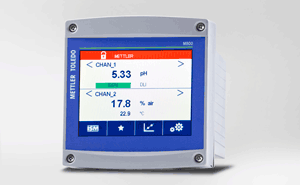 Incorrect measurements from a failing or failed in-line analytical sensor can result in over- or underuse of chemicals, reduced product quality or even production shutdown. Sensor maintenance and timely replacement is therefore vital, but it is costly in terms of time and materials. What if you are maintaining or replacing sensors when it is not even necessary? 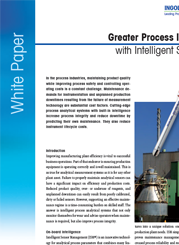 Learn more about improving sensor maintenance cycles in this white paper. Sensors That Learn run their own diagnostics that use past and real-time process conditions, as well as sensor "health", to predict when sensor maintenance will be needed. 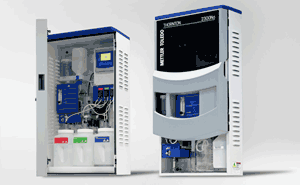 Further, Sensors That Learn react as process conditions change, so the diagnostics information is always reliable. 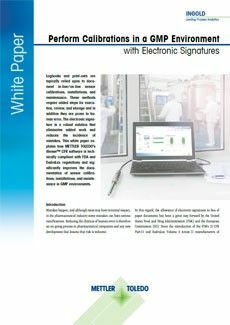 The white paper explains how sensor maintenance that is conducted too late or too early can now be avoided. 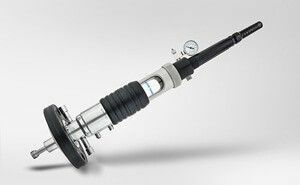 Diagnostic tools from Sensors That Learn, such as the Dynamic Lifetime Indicator (DLI), clearly show when sensor maintenance will be required. The DLI and other diagnostics, displayed on the connected transmitter or forwarded to control systems or asset management tool, allow real-time monitoring of sensor performance and an easy inroad to condition based maintenance planning. 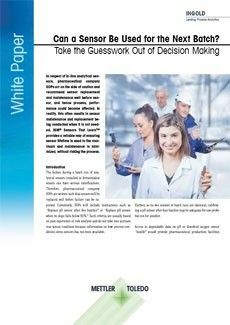 This white paper also discusses other advantages of these intelligent sensors, such as Plug and Measure ability, which allows for calibration away from the process. This speeds up maintenance operations and eliminates the need to perform sensor maintenance in the field. Simply install a pre-calibrated sensor in the place of one that needs recalibrated, and take the out-of-spec sensor to a location away from the process to calibrate and clean the sensor. 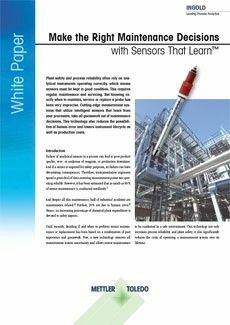 Sensors That Learn means the condition of in-line sensors can now be constantly monitored. Sensor maintenance activities such as cleaning, calibration or replacement can be planned for when the tasks will actually be required.